DataEntryOutsourced, one of the foremost outsourcing and data management professionals, premieres an exclusive new service in the form of Image Searches. This service enables businesses to locate and access an unlimited number of images for their researching, compiling, referencing, and inventory purposes. DataEntryOutsourced (DEO) is delighted to unveil a brand new option within the existing line of data entry solutions with customizable Image Searches. 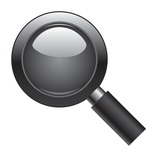 This new service includes image searching and reverse image searching, which facilitates the locating of particular image using specified criteria and progressive search tools. DEO’s debut of these flexible image search services ensures that all variety of businesses can receive the most relevant images per their unique requirements. With the introduction of image search services from DEO, clients are able to outsource to a skilled image search management team, overseen by an experienced image search executive. DEO aims to exceed all customer expectations with professional outsourcing services, and provides a client satisfaction guarantee. Locating specific images is a time consuming and meticulous process, and requires a knowledgeable utilization of advanced search filters and modifiers to pinpoint precise images from among online sources. Outsourcing is a beneficial and cost effective alternative to tasking internal resources towards this lengthy procedure, and is an efficient option for companies who regularly work with bulk qualities of images. DEO’s image search services are entirely adaptable for those businesses seeking scalable solutions. Along with the new image search services, DataEntryOutsourced features an extensive catalog of data related services that include data entry, data analysis, data enrichment, and e-pub options. Clients find efficient, all-inclusive solutions for every data related project in DEO’s broad span of data management solutions. Discover case studies, client testimonials, blog articles, and available service options from DataEntryOutsourced by visiting: https://www.dataentryoutsourced.com/image/search-services.php. Delivery centers in Bangalore, India, DataEntryOutsourced offers data management options for a diverse clientele that includes start-up businesses and fortune 500 companies alike. Clients have relied on organizational solutions from DataEntryOutsourced for over a decade, entrusting the expert data management team at DEO to provide quality results and professional customer service.